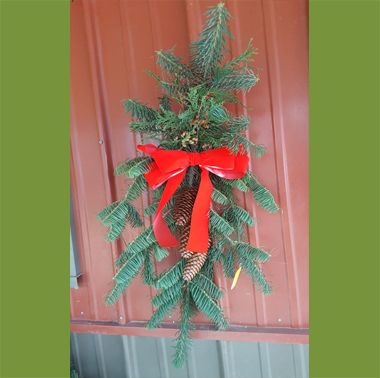 We have a wide selection of wreaths and swags including different size, ribbons, pinecones, and berries. If you have a specific order, please contact us ahead of time to make sure we have one ready just the way you want it. 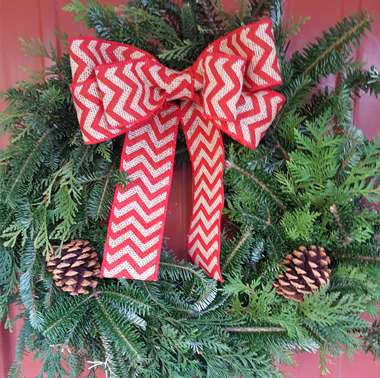 Wreaths come in a variety of sizes and decorations. Typically they come with cones and a bow that hangs at the top. If you want a wreath for a grave, check our products to get a wreath stand for easy hanging. Swags are a great option for hanging on a garage or thin area. They are longer and thinner than wreaths. 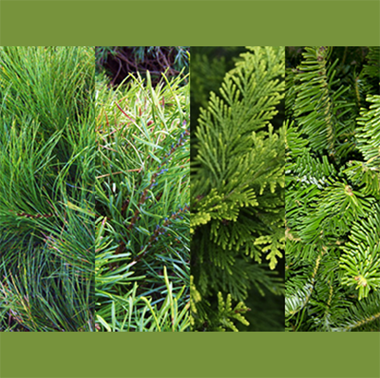 They are usually made of jack pine with very long, elegant needles and cones. These are perfect for those who like to make their own decorations for around the house. It usually includes a couple branches of white pine, scotch pine, arbor vidae, and fraser fir all tied together with twine for easy carrying. If you want multiple bunches, please call ahead so we can have them ready.